ChordPulse Lite is a free edition of ChordPulse with 24 music styles and 5 chord types. 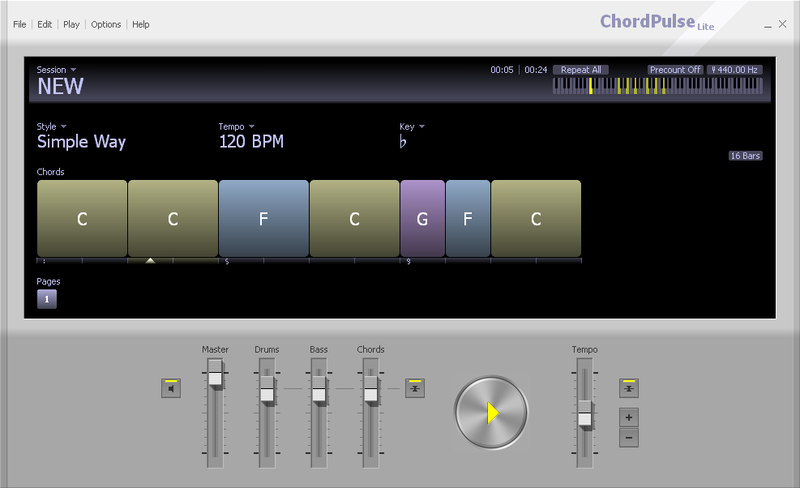 ChordPulse Lite is a simple tool to practice, improvise and compose music in an efficient and fun way. Create custom backing tracks easily, experiment with chord progressions and musical ideas, enjoy your practice. Change chords, tempo, key and music style with a few clicks. Tune your musical instrument to ChordPulse Lite and just start playing! Download a free package of inspiration and motivation! If you like ChordPulse Lite or ChordPulse, please help spread the word. Thank you.